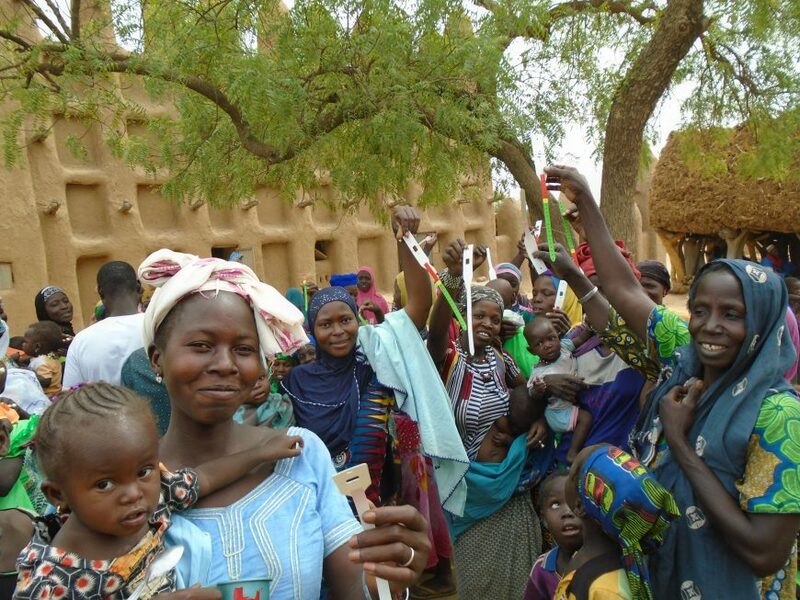 ACTED teams are intervening in the Mopti region of Mali to tackle the nutrition crisis affecting the local population. 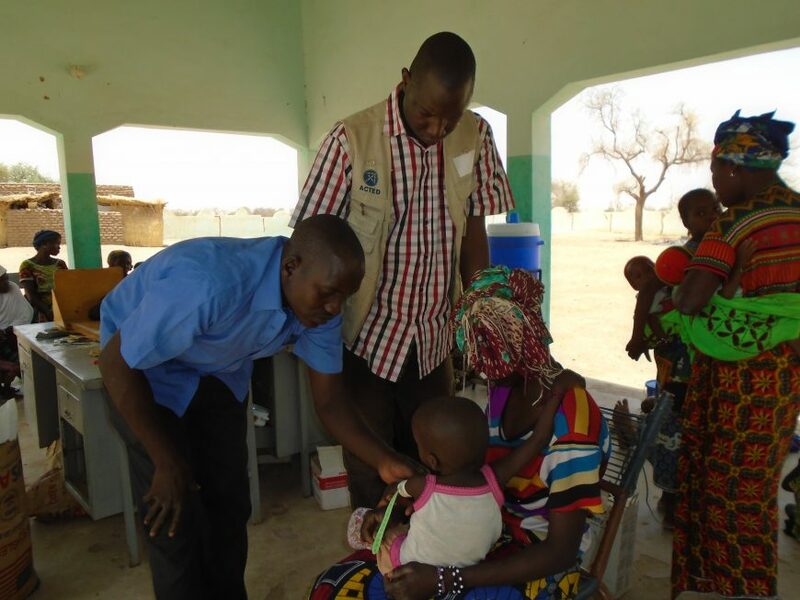 Since July 2015 and with the support of the European Commission’s Directorate General for Civil Protection and European Humanitarian Aid Operations (ECHO), ACTED has been supporting the fight against acute malnutrition in the Koro health district, Mopti region, Mali. Through screening, treatment and information campaigns, all communities and health associations contributed to tackling the nutrition crisis through targeted interventions and capacity building. In the regions of Mali already ravaged by several years of drought and conflict, populations have seen their nutritional status gradually deteriorate as a result of the security crisis. 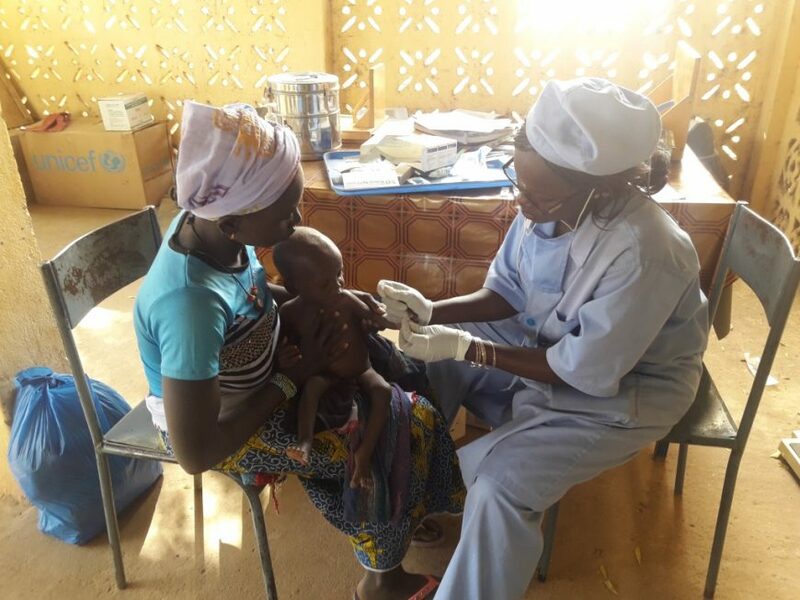 In 2015, the Mopti region experienced a very serious nutritional crisis, with a global acute malnutrition rate of 10% and a severe acute malnutrition rate of 1.6%. The rate of infant and child mortality was 0.62 deaths per 10,000 people, the highest rate in the country. 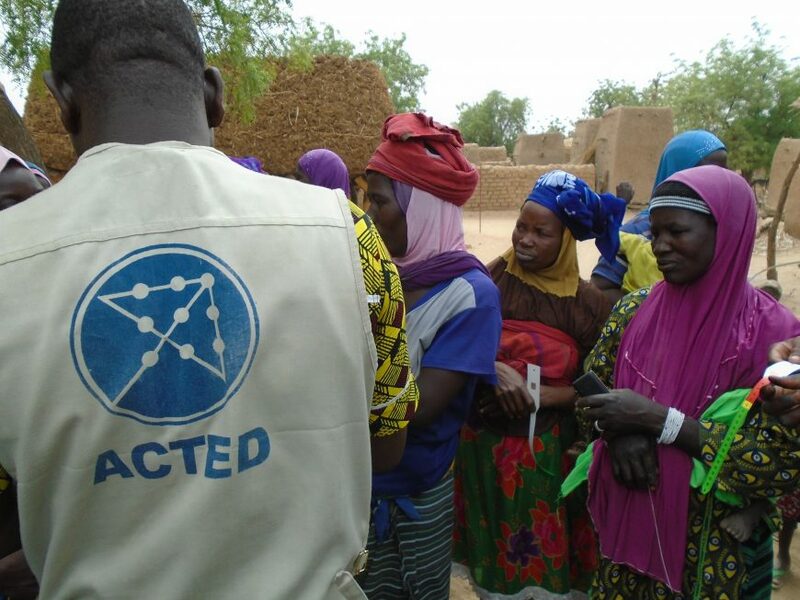 In response to this crisis and to support the national strategy, ACTED provides technical services and supports local authorities in the detection and management of severe acute malnutrition. Since the beginning of the project in July 2015, ACTED and the Koro health district have treated 17,206 children (7,656 boys and 9,550 girls) under 5 years of age suffering from severe acute malnutrition. 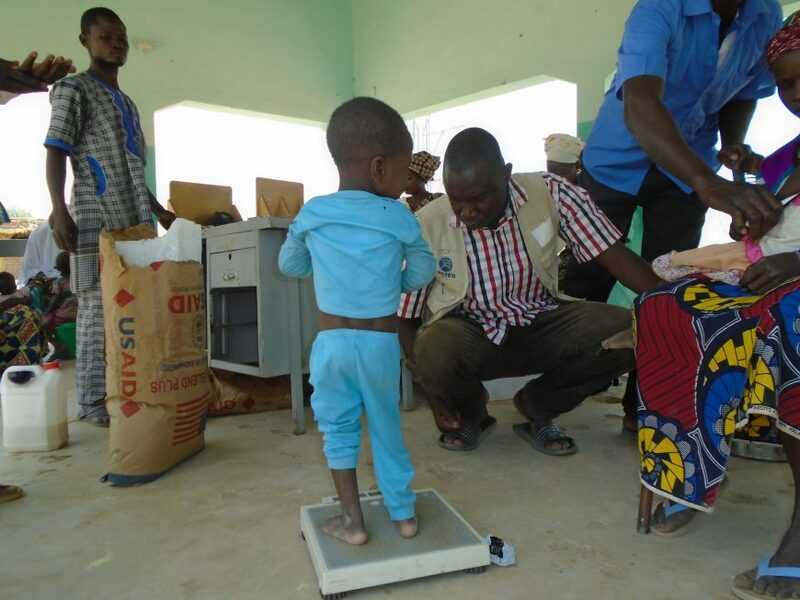 The prevalence of global acute malnutrition in Mali is 11.2%. That of severe acute malnutrition is 2.6%, above the emergency threshold defined by the World Health Organization (WHO): over 10% for global acute malnutrition and over 2% for severe acute malnutrition. In March 2018, a one-year-old girl named Amina was suffering from severe acute malnutrition. Thanks to a donation, Amina was screened, admitted and treated at the nearest health centre. “We have no way to buy powdered milk in the shops, nor to vary her diet according to her needs: she eats the family dish since breastfeeding stopped, and nothing else,” says Lamata, the child’s grandmother. 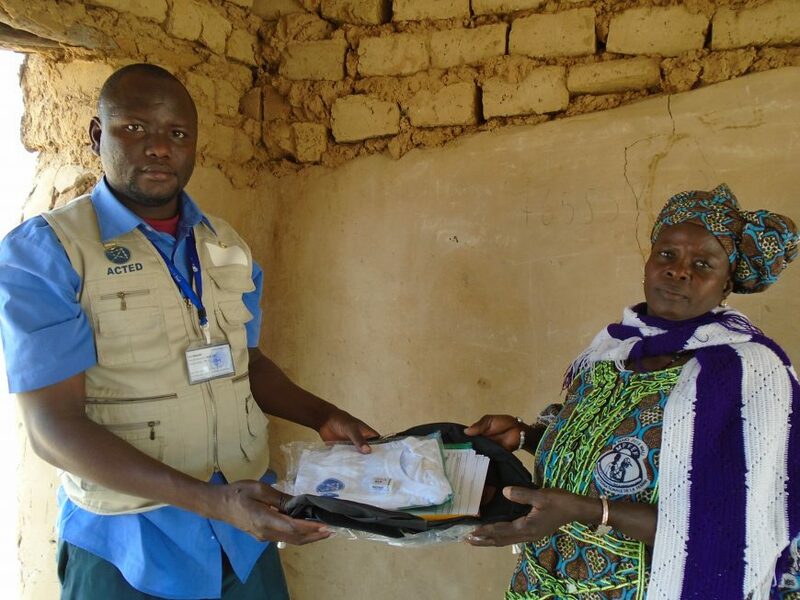 Daouda, a community liaison in Koro, went to their home to measure Amina’s brachial perimeter. The graduated bracelet is designed to measure the circumference of the arm between the shoulder and the elbow to detect cases of malnutrition. The brachial perimeter measuring bracelet (also called Shakir or MUAC – Mid Upper Arm Circumference band) consists of three colours: green (more than 125 mm) signifies normal nutritional value; yellow (between 115 and 124 mm) indicates moderate acute malnutrition; and red (less than 115 mm) signals a sign of severe malnutrition and high risk of death requiring urgent refeeding. The measurement of Amina’s brachial perimeter revealed a red colour, a sign of severe acute malnutrition. In addition, the little girl had oedema, characteristic of malnutrition cases, and suffered from bouts of fever and cough, with very rapid breathing. As a result, the child was immediately taken to the Koro Community Health Centre. The nurse, after examining the child, measuring with the brachial perimeter and noting the swelling, confirmed her serious condition. Amina was then admitted to the Reference Health Centre within the Intensive Nutritional Recovery and Education Unit (URENI) to receive appropriate care to treat her respiratory infection, fever and malnutrition. At the time of admission, URENI staff reassured Amina’s grandmother that the care was free and that she would be regularly informed about her granddaughter’s state of health. Like the other caretakers present, Lamata received training in malnutrition screening and brachial perimeter measurement. Community liaisons are people trained in malnutrition screening. They are linked to community health centres and visit villages to detect cases of malnutrition, to monitor children previously cared for by health centres and to educate families on good nutritional practices. 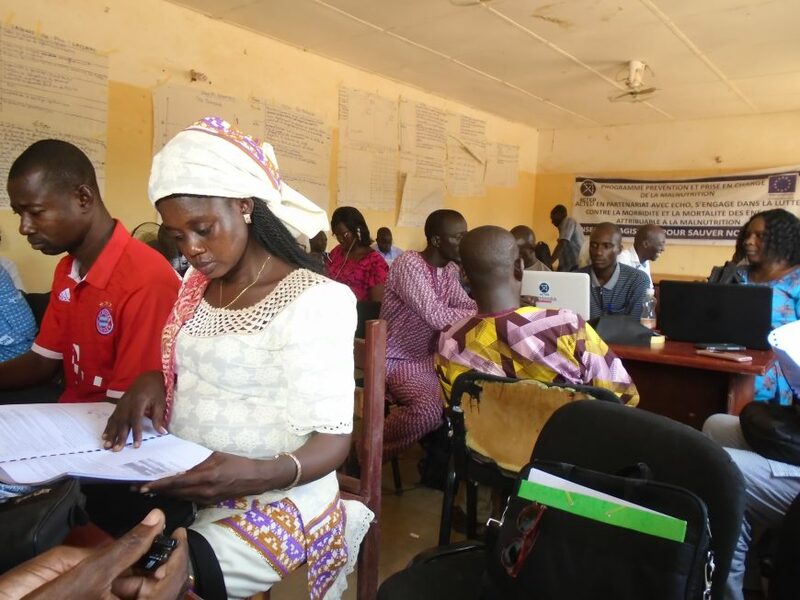 As part of this project, 1,222 community liaisons were trained in the integrated management of acute malnutrition. Each liaison was equipped with awareness-building materials and nutritional monitoring equipment by ACTED. The Koro Health District now has 1,308 community liaisons.  Every day, the medical team of the reference health centre, composed of doctors and nurses from the Malian government, visits the hospitalized children. An ACTED referring doctor, experienced in the integrated management of acute malnutrition, is in charge of accompanying and training the medical team in order to improve the quality of care. After 5 days in the hospital, Amina’s general condition had finally improved. She no longer had a fever or oedema, was breathing normally and was able to ingest Plumpy’Nut®, a very nutritious paste that allowed her to quickly regain about 8 grams per kilogram each day. During her discharge, she was referred to the Severe Ambulatory Recovery and Nutritional Education Unit (URENAS) in Koro, while her grandmother was given a stock of Plumpy’Nut® to feed the baby until the next follow-up visit. Plumpy’Nut® is a peanut-based food used in case of famine. It was designed in 1961 by French scientists André Briend and Michel Lescanne, founders of the Nutriset company. It is a ready-to-use, highly nutritional energy paste made from a base of peanuts. Each portion is individually wrapped and can be distributed to malnourished children for home consumption, rather than in renutrition centres. Plumpy’Nut® tastes like sweet peanut butter. The Food and Agriculture Organization of the United Nations (FAO) classifies it as a Ready-to-Use Therapeutic Food. The support provided to Amina and her grandmother did not end after they left the hospital. Although follow-up visits to URENAS confirmed the absence of medical complications, Amina continued to receive nutritional treatment adapted to her needs, based on Plumpy’Nut®. Home visits were made by community liaisons to monitor the child’s condition. In parallel, Lamata participated in trainings on infant and young child feeding and best hygiene practices against malnutrition, including water treatment. In addition, the Koro Community Health Centre, with ACTED’s support, was able to organize awareness sessions on childcare days to inform caretakers about screening their children for malnutrition. When I became pregnant again, I immediately stopped breastfeeding Amina, my daughter. That's the way it is with us, regardless of the child's age. Amina was only 5 months old. I didn't know that this practice could make her sick. Thanks to the courage of my mother-in-law, and the many visits of Daouda, the community liaison, my daughter was able to be treated and looked after by the health centre. If I had listened to Daouda’s advice on breastfeeding, I don't think this would have happened. During his last visit, he advised me to go to the centre to receive advice on birth spacing and family planning. I plan to go very soon.